The organisers of South East Asia’s largest music festival, Future Music Festival Asia 2015 (FMFA), Livescape Singapore and Future Music Group Australia today announced the full line up for this year’s star-studded music festival. The Livescape Group (Malaysia & Singapore) – one of Southeast Asia’s largest live events organizers, which has to date, organized over 200 shows regionally. Future Music Group (Australia) – Australia’s pioneer organizers with over 20 years of experience organizing live music events. They are also the curators of the Future Music Festival brand that has had a zero casualty record in Australia since the festival’s inception in 2008. Collectively, the above mentioned companies who are working hand-in-hand to manage and execute the security, medical, safety and drug prevention plan for Future Music Festival Asia 2015, have over 50 years of experience in managing similar or larger scale events. 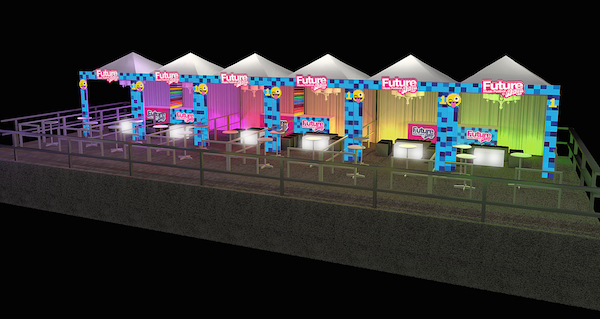 Future Music Festival Asia 2015 will be held at the 140,000 sq. metre Changi Exhibition Centre in Singapore on 13 & 14 March 2015. Tickets to FMFA 2015 are available for purchase via www.futuremusicfestival.asia and are available in three categories: Single Day – Day 1 Only (SGD148), Weekend – Two-Day Pass (SGD208), and VIP (SGD388). Tickets are also available for walk-in purchase at all SISTIC outlets in Singapore. 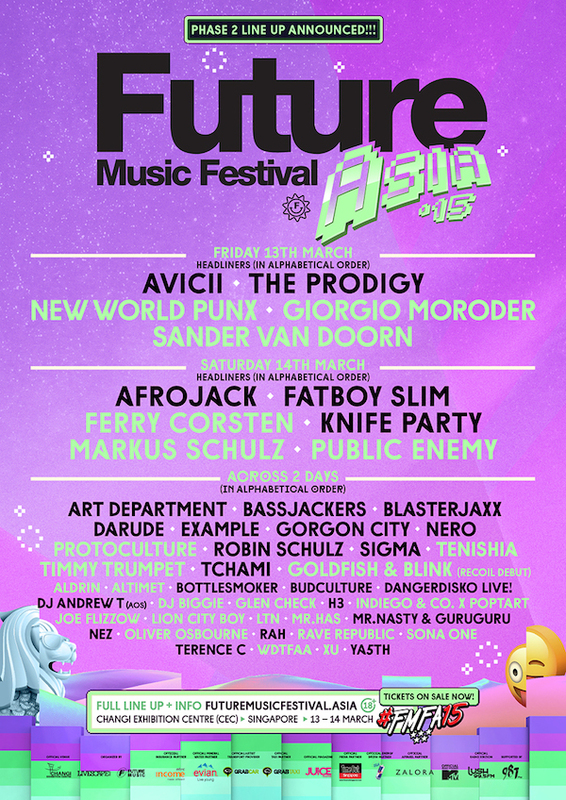 Future Music Festival Asia 2015 is opened to guests aged 18-years and older only. ID verifications will be carried out at the door. *Ticket prices listed above also exclude the ticket agent’s booking and credit card processing fees.